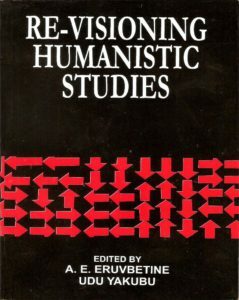 Re-Visioning Humanistic Studies is a collection of thirty-four essays that display wide varieties of thought and approach in [re]conceptualizing, [re]appraising and [re]enlivening the critical trajectories of theory and practice in the humanities. It re-validates the eminent relevance of humanistic studies to numerous pivotal elements of contemporary human and social development, in the same manner and measure as it engages the emancipation of the aesthetics of arts from the burden of materialist concerns. This work embodies a cumulative dialectical strategy that emphasises close links among the various branches of the humanities on the one hand, and between the humanities and the palpable preoccupations of the pure, physical and social sciences on the other – all as an emphatic illustration of the growing essential multi-disciplinarity of humanistic experience. In a similar vein, it [de]constructs interconnectivity paradigms of value between the canon of humanistic studies and its other, contemporary popular culture and politics. Trenchant and seminal in thought and presentation, the essays demonstrate a polemical, yet encompassing experience of humanism that has attained a peak of importance and urgency in the context of the overwhelming challenges of a postmodern materialist existence.